sand circles – The Art of Affecting Consciousness. Mysterious sand circles appearing in Wales. This is the work of Mark Treanor, an amazing artist and photographer who works during the Sunrise to creates the most beautiful designs. I was honoured to be asked my Mark if he could use my design “Ripples in a paranormal pond” for his next project, and here it is! 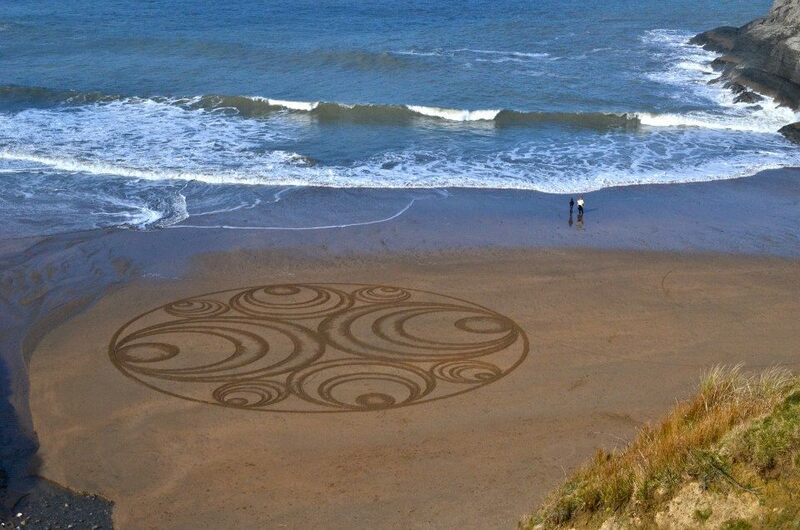 This sand circle appeared on Mwnt beach in Wales this weekend. My jaw dropped when I saw it. I love it so much! See more of Marks work here. Original sold to a Mexican film director!